The hostel rules of Sri Kerala Varma College, Thrissur, Kerala, affiliated to the University of Calicut, have been challenged by a lady student, Anjitha Jose, who is in third year of BA (English) course. According to her, the hostel rules impose unreasonable and discriminatory restrictions on female students. It is stated in the petitioner that for females, the in-time on Monday, Wednesday and Friday is 4:30 PM, and 6 PM on Tuesday, Thursday, and Saturday. On Saturday, the inmates are allowed to go out only from 3:30 PM to 6 PM. On Sundays, they are not allowed to go out of their campus at all. On weekdays, class hours of the petitioner extend till 3:30 PM. This allows only 1 hour, from 3:30 PM to 4:30 PM, between the end of classes and compulsory re-entry for students to engage in activities outside the hostel on Monday, Wednesday and Friday. The window is only two-and-a-half hour long on other days. As a result, the opportunities for lady students to go for co-curricular, extra-curricular, or self-development activities, such as volunteering activities at NGOs, competitions not conducted by the college, classes for arts, etc., which may extend into the evening, are severely impaired. The petitioner contended that this unreasonable restriction on their movement places them at a worse footing as the job industry now focuses on the curriculum vitae, inter-personal skills, and soft skills. Inmates of the hostel are unduly placed at a disadvantage on account of the arbitrary restrictions placed on them. The hostel rules prohibit hostel members from taking part in political meetings, processions or propaganda. They are also not allowed to go for movies or like entertainment programs except on notified days. Further, hostel members are not permitted to go home on weekly holidays except under extraordinary circumstances, with the prior permission of the warden. It is contended that absolute prohibition on their movement on holidays has no nexus to any of objectives by which restrictions of this nature can be justified. However, such restrictions are not applicable to male students. It is also contended that the Rules are violating the principle of “anti-stereotyping” laid down by the Supreme Court in AnujGargv. Hotel Association, which lays down that the imposition of unequal benefits and burdens, resting upon the stereotypes assigned to the roles of men and women in society, is an unconstitutional classification that is not justified in law and is a violation of the right to equality of the sexes guaranteed under Article 14 of the Constitution. 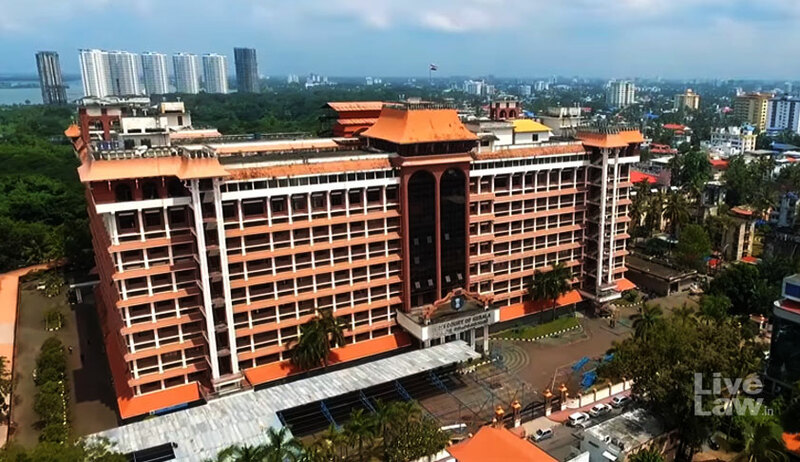 Justice Anu Sivaraman, single judge of the Kerala High Court who considered the matter for admission, has sought response of the university and the UGC in the matter, and has also passed an interim order directing the college principal to look into the grievances in the representation made by the petitioner. In this context, it is relevant to mention that the Supreme Court is currently examining whether the gender-discriminatory restrictions in the hostel rules of Banaras Hindu University (BHU) on a petition made by some of the women students therein.